Three of the 2010 African Nations Cup semi-finalists failed to qualify this time and with Cameroon and Egypt – between them champions in six of the last seven editions – absent, it appears to be a good year to back an outsider. Ivory Coast are 11/8 frontrunners despite claiming the trophy just once before and flopping miserably in 2010 and are followed by Ghana (3/1), Senegal (9/1), Tunisia (9/1) and Morocco (10/1) in a hardly star-studded line-up. There are two fundamental albeit understandable errors to avoid when deciding who to back: favouring nations that performed well at the last World Cup and those featuring several Premier League players. Seven of the last ten winners didn’t even participate in the World Cup that preceded their victory, while the Egypt sides that triumphed in the last three instalments were formed primarily of home-based players and not international stars. That’s why Zambia intrigue at 33/1. Their squad is talented but not showbiz, with an experienced goalkeeper and fairly familiar yet not stratospheric names like Collins Mbesuma and Emmanuel Mayuka, who has been linked with Newcastle. They have never been to a World Cup, however their continental stock has gradually risen due to their involvement in ten of the last 11 African Nations Cup, reaching a final and two semi-finals, and returning to the last eight in 2010. 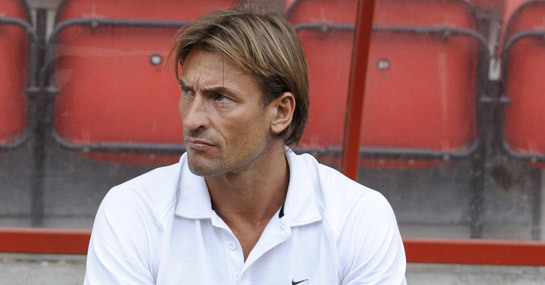 Herve Renard’s team topped qualifying Group C and the former Cambridge boss will be satisfied with their Group A draw, and not only because that group has produced the winners of four of the last eight tournaments. First place is obtainable after being paired with Equatorial Guinea, competing for the first time by virtue of hosting, Libya, who they outdid in the preliminaries, and Senegal, who are strong in attack but have stagnated over the last five years.